On our online shopping website, now, you can find household products and place a safe order. You can have them with just one click and they are easy to set up. Home is one of the places where we spend most of our times and where we feel safe and most comfortable. Therefore, we take care of our home almost daily, clean it regularly and buy the needs. Although we take great care for our houses, decorative materials or new items can make our house more beautiful and increase the level of energy in it. Housewares and decoration items that women usually get engage with, are also listed in Sefamerve.com, which considers every need of women. You can change the ambiance of your home by shopping on these pages, which list many products you may need for your home. Bed linens are the most common items that we keep changing. It is necessary to have more than a few bedding sets to be able to change them frequently. You can find different brands that offer the best of single or double duvet covers with models in different designs and colors. After choosing your set of comforters, you can choose a cover that is suitable for your bed linen and you can refresh your bedroom combo. Another category that you can take a look at after you get a set of linens is other home textiles such as towels and bathrobes. By buying bathrobe sets with family concept, you can create a more harmonious combination and establish the harmony between men and women. One of the most important pieces of home decor, and determine the look in general, are carpets. Especially when choosing the carpets that determine the main color of the house with the seat, it is necessary to take a look at many alternatives and buy the appropriate size. 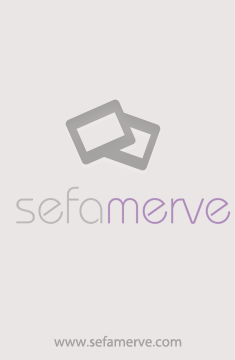 Sefamerve.com has different patterns and fashionable carpet options that you can buy with confidence. Among the kitchen utensils, the larger ones have a more decorative presence, while the small items can allow you to do something more enjoyable both in the kitchen and both as organizers. Kitchen utensils such as cake or dessert measuring cups, cookie mold accessories will make it easier to work. Among the hobbies that women love, knitting threads that allow them to knit their own clothes are also among the products you can buy. You can buy knitting yarns of different colors and create a warm sweater or cardigan that you can use in winter especially for yourself.